Jump to the Timeline of events! In order to understand the time line of events in Revelation, it is important to understand how the book of Revelation is structured. Many people think that it is a chronological record of events from start to finish and that the entirety of Revelation is prophecy. In this chapter you will see that there is an order but it's not chronological and we'll see that the first three chapters are not prophetic. If we read Revelation with the assumption that it's chronological, it is impossible to understand! To prove this point, we can look at several places in Revelation that show how John writes and explains some things in a circular type of way. Some of these may seem frivolous, but some are major points. I'm including them all just to show the style of writing used in this book. Revelation 13:1-10 Tells us about the “beast” which is the Antichrist and the One World Government he will be leading in the final 42 months (verse 5). The dragon (who is Satan (Rev 12:9 and Rev 20:2)) gives him (the Antichrist) his power, and “all that dwell upon the earth shall worship him” (except for the Saints). Then, in verse 12 John is telling us about the false prophet and how that man “causes them that dwell on the earth” to worship him (the beast). He does miracles and wonders like fire coming down from the sky to cause the people to believe in him. John tells us one thing, and then goes back to explain something else that was happening at the same time. It's not a chronological account, but is somewhat circular in that he goes back to show what is going on in the same time period. Revelation 13 is showing us events that happen in the same time period (3.5 years) as some of Revelation 12 events and the same time period as Revelation 11 events. This is not some future 3.5 year time period. John explains a particular time and events of a certain level of understanding or viewpoint in chapter 11, then different events of the same time period in parts of chapter 12, and then shows us different events from a different perspective of the same time period in chapter 13. At the 5th Trumpet (Rev 9:2) an angel opens the Bottomless Pit. Then in Rev 11:7, the beast that ascends out of the Bottomless Pit kills the Two Witnesses who prophesied for 1260 days (3.5 years), which is at the end of the same 3.5 year period that Satan is cast to earth and the Antichrist is reigning (Rev 12 and 13). Then in Rev 17:8 we see an explanation of the same beast (the Antichrist/the Devil) who ascends out of the Bottomless Pit, and subsequent explanation of where he gets his military power to take over the world. John has told us about this in several places but it's definitely not a chronological order. He goes back to explain things that he's already told us about in previous chapters. Revelation 7:15-17 shows us the same declarations as Rev 21:3-4. The end of things prophesied in Revelation is the beginning of eternity with God, and is mentioned in both chapters, but is not a chronological timetable. God doesn't conclude all things in chapter 7, and then all the events between chapters 7 and 21 happen after that. It's a statement about the same time period in both places. In Revelation 8:2, John records 7 trumpets given to 7 angels. Then in Rev 8:3-5, he explains a whole other angel with things that happen with that angel; and then in Rev 8:6, he returns to the 7 angels with the 7 trumpets. He starts a subject, then explains something else that is happening or has happened prior to this, and then goes on with the subject he started on. Revelation 15:1 states that John saw 7 angels having the 7 last plagues, filled up with the wrath of God. But then in verses 6 and 7 we see the 7 angels come out of the temple and are given the vials full of the wrath of God. John starts the subject stating that they are there, goes to another vision of the saints in heaven, and then returns to the angels and gives more information on how they got the vials. The 7th trumpet (Revelation 11), 7th vial (Revelation 16), Revelation 7:15-17, Revelation 21:3-6, and Ezekiel 38-39 all show us the same events. First of all, the statement, “It is done”, appears in Revelation 21:6, Ezekiel 39:8, Revelation 16:17, and the same statements about it being “done” and/or how the Kingdom of God is come and what it will be like when all is finished are made in the 7th trumpet, Revelation 7, and Revelation 21. Revelation 15 also shows us those who have gotten the victory of the beast (came out of great tribulation) just as Revelation 7; this is the same group of people who are with God when it's all over. The Seals, Trumpets and Vials ALL have something explained in between the 6th and 7th. The Seals have the vision of the 144k and the multitude of saints in heaven with the vision of Gods love, mercy and kindness after it's all over. The Trumpets have the vision of the Seven Thunders, the Mystery of God being finished, the little book, measuring of the Temple, the Two Witnesses. The Vials have the gathering of the “kings” for the battle of Armageddon. These are all things explained by John that are not in a consecutive time line, but are explanations of things that have already happened or are happening at the same time, and things that will be after the fact. Revelation 16 starts the battle of Armageddon, but then chapters 17 and 18 are devoted to explaining the Great Whore, then in chapter 19 he picks up the battle of Armageddon again. Revelation 16:12 states that the Euphrates river is dried up to make way for the kings of the east, and then verses 13 and 14 state that the three spirits go out to gather the kings of the whole world to battle. Which happens first? Or are they happening at the same time? Revelation 11:19 and 15:5 both state that the temple in heaven is opened. When we study the events surrounding both statements, we see that it is not that the temple is opened twice, but that we are seeing the same event written about in both places. In Revelation 14:20 the winepress of the wrath of God is trodden. Then in Revelation 19:15 Jesus treads the winepress of the wrath of God. This is the same event in both places. It's not something that happens in chapter 14 and then again in chapter 19. Rev 10:7 But in the days of the voice of the seventh angel, when he shall begin to sound... Rev 11:14 The second woe is past; and, behold, the third woe cometh quickly. The 7th Trumpet does not sound until after the 6th, but we hear about it in Revelation 10 before the statement that the second woe (6th trumpet) is past in Revelation 11. Definitely not a chronological record. When we understand how Revelation is written, we must also understand that we can't make assumptions about the timing of something just because it may be nestled between a couple other statements. Careful study can reveal much, however, when we put it all together and compare with other areas of the bible as well as Revelation. Here's a few of the other books and chapters we'll be looking at: Zechariah 14, Isaiah 18 – 19, Joel, Daniel, 1 Thess 4 & 5, Matthew 24, Mark 13, Luke 17 and 21, Ezekiel 38 and 39. In Revelation God gives us three different accounts of the end time. These are given in the Seals, the Trumpets and the Vials. These accounts are all different but have a common intersection point. Just as we have four accounts of the life of Jesus Christ in the books of Matthew, Mark, Luke and John, we have likewise been given different accounts of the end time events through the Seals, Trumpets and Vials. We will be discussing the common intersection point in this chapter as well as the other records of things that are not part of the Seals, Trumpets and Vials. In order to understand how these three accounts intersect, we're going to carefully compare 5 scriptures. In these scriptures we do a comparison of the 6th Seal, the 7th Trumpet and the 7th Vial. The events of the sixth Seal in Revelation chapter 6, the seventh Trumpet in chapter 11 and the seventh Vial in chapter 16 are all recording the same events! We will also see that Matthew 24:29 and Ezekiel 38:18-22 are parallel accounts of the same. Study the chart and compare what occurs in each scripture. Each of the passages are describing the same events that occur immediately after the Tribulation at the Battle of Armageddon (same as the Battle of Gog and Magog). Notice that the Seal, Trumpet and Vial all have an earthquake and the wrath of God is come upon the earth. Matthew shows the same events that also are shown in the 6th Seal and the events in Matthew happen immediately after the Tribulation, which is when the battle of Armageddon takes place. The islands and mountains moving, the great hail, God's wrath and the earthquake from Ezekiel are the same as the 7th Vial and except for the hail not mentioned in the Seal, it's also the same. Likewise the 7th Trumpet has the same events except for mountains moving. The battle of Gog in Ezekiel is the same event as the battle of Armageddon. The conclusion is obvious. All of these events happen at the same time but they are described in several places in the bible. If this is true, then Revelation is definitely not written in chronological order. But, before we make any decisions, let's look at a few other things. If we follow the 7 year chronological order theory does it make sense? Does Babylon fall once or twice? Revelation 14:8 and Revelation 18:2 both state that Babylon is fallen. If it fell in chapter 14, and Revelation is chronological, did it get rebuilt before chapter 18 so it could fall again? Did it fall twice or are there simply two accounts of this event? Revelation 6:12, Revelation 8:5, Revelation 11:13, Revelation 11:19, and Revelation 16:18 all record an earthquake or a great earthquake. Is there really 5 earthquakes or just one with several accounts of it? Will there be great darkness twice? Will great hail fall twice? Will mountains and island move twice? When will the wrath of God be poured out? Revelation 6:17, 11:18, 14:9-10, 14:19, 15:1, 16:1, and 19:5 all speak of the wrath of God. In Revelation 6, 11, 14, 16 and 19 God's wrath is poured out, and in chapters 14 and 15 God's wrath is presented as a future event. Will the great day of God's wrath really be poured out 5 separate times? And why would John, the writer of Revelation, present God's wrath as a future event in the middle of the book? No, it does not make sense that Revelation is a chronological record of events from start to finish. We are being told about the end time and what to expect in several different ways. The Seals are the long story (the spirits have been around a long time), the Trumpets are the median story (approximately the last 100 years), and the Vials are the very last and very short story (all seven of the Vials are poured out at the end of the Tribulation), all ending at the battle of Armageddon. The Seals are discussed in chapter 5 and the Trumpets are discussed in chapter 6 of this book (and this web site). There are many other things recorded in between and after the Seals, Trumpets and Vials. We'll take a look at those, and then we'll put it all together in a time line that we can follow to the last day. One of the things that trips people up in different areas of the bible is that they take the chapter divisions literally and even take the explanation headers inserted by men literally, but the bible wasn't written with chapter numbers and verse divisions! The chapter and verse numbers were added centuries ago and was broken up in the way they thought it should be at that time. An excellent example of a chapter beginning being in a very misleading place is Revelation 8. Verse 1 is finishing up the vision of the seals, but then verse 2 begins the vision of the trumpets. This leads people to believe that the seventh seal somehow leads into the first trumpet. As you will learn in this chapter; that is not the case! Let's look at what John is seeing and when. Revelation begins with John on the isle of Patmos, where he had been exiled, and he heard a voice. The voice is that of Jesus Christ, as we see in verses 8, 11, 17 and 18. He is the first and the last, and he that lives and was dead but is alive for evermore. In verse 19 he tells John to write things he has seen, things which are and things that are to come. Things John has seen. In chapter one John records having seen Jesus Christ Himself. The things seen and heard during this experience are the "things which thou hast seen". "Things which are" represent things that are in John's present world. Chapters 2 and 3 are letters to the seven churches “which are in Asia”. These churches existed at that time in Asia. Some people, assuming that the entire book of Revelation is prophetic, have put forth a theory that the seven churches must be church "ages" of the future. That is simply not true. The truth is that the messages to the seven existing churches of that time are the "things which are". Revelation 4:1 begins the "things which shall be hereafter". The following section is going to go very quickly through the entire book of Revelation. I am not going to go into great detail but we'll walk all the way through the events revealed to John. Then I will put events together in a time line in the next section. Please note, the expectation for this study is that you will have your Bible open and read each chapter as we discuss them, and look up the other references as noted. This guide is a companion to help you understand how to read Revelation and to point out other scriptures that also refer to the same visions John is writing about. Chapter 1 begins with the vision of Jesus Christ as He appeared to John, and letters to the 7 churches “which are in Asia”. These are churches that were actually in John's present time. Rev 1:1 The Revelation of Jesus Christ... this is the original title of the book (the letter John delivered to the churches). This is what the entire book is about, the revealing of Jesus to the world, and His triumphant return. He is the mystery of God and the mystery will be finished when Jesus appears in the clouds for all to see, as it says in Rev 10. Chapters 1-3 are the "things which are" and the "things John has seen", and are not prophetic by any indication in scripture. They're just things in Johns present time, 2000 years ago. Jesus Christ Himself appears to John and speaks with him. In verse 7 of chapter 1, we see how Jesus will arive at His second coming, on the day of the Lord. In the clouds, just as He left (Acts 1:9-11), and every single person on the planet will see Him, even the Jews (those who pierced Him). Verses 8, 11 and 17-18 show us explicitly that Jesus is the Almighty God. The description of Jesus that John saw in Revelation 1:13-15, is a very similar description of the Ancient of Days that Daniel saw in Daniel 7:9. Rev 1:13 And in the midst of the seven candlesticks one like unto the Son of man, clothed with a garment down to the foot, and girt about the paps with a golden girdle. 14 His head and his hairs were white like wool, as white as snow; and his eyes were as a flame of fire; 15 And his feet like unto fine brass, as if they burned in a furnace; and his voice as the sound of many waters. This also helps us understand that Jesus is the Ancient of Days, the Mighty God. Verse 1:3 states that the “time is at hand”. In God's time, a thousand years to God is as a day to us (Ps 90:4, 2 Pet 3:8). And, if the first Seal is opened around 325 AD with the founding of the Catholic church, then a couple hundred years after this was written is really “at hand” in God's time. 1:19 states that things “shall be hereafter”. Does this mean that it's going to be a long time in the future, or shall start shortly after this was stated? It certainly doesn't prove that it either way but seems to indicate that it won't be a long time. Especially since 1:1 says they must "shortly come to pass", and 1:3 says the "time is at hand". Another interesting point is in verse 20, where we see that the churches each have an angel assigned to them. If you watch my Angels video, you'll see that angels are used by God for many things, and that we can fully expect that angels are very busy on the earth right now! Chapters 2 and 3 are the letters John delivered to the seven churches that existed at that time, 2000 years ago. They are very useful to us in that they give us great instruction on how to be pleasing to the Lord and how we should obey Him and cease from sin, and should not be lukewarm. I highly recommend studying them deeply. 3:3 says that if we don't watch, He will come as a thief and you'll be surprised. If we succumb to false doctrine we aren't watching, in my opinion, and we'll be surprised. When He comes for the whole world to see, we will be taken off-guard, and we should not be. This chapter begins the prophetic parts of Revelation. Rev 4:1 ... come up hither, and I will shew thee things which must be hereafter. Some people teach that this scripture is a prophecy of the rapture, but there is no scriptural basis for that at all. Revelation 4:1 simply begins the "things which shall be hereafter" spoken of in Chapter 1 verse 19. Chapters 1, 2 and 3 are the things which John has seen and the things which are. Chapter 4 begins the prophetic parts of the book of Revelation. The vision begins with a throne being set and God appearing as multi-colored gems or likely more of a swirling colorful representation of the Spirit which is God. Jesus told us that God is a Spirit, and that Jesus is the body God made for Himself to become a human being and dwell among His own creation! This vision, I'm sure, is a visual representation of the invisible God like the angelic manifestations of God when He appeared to men before the birth of Jesus, where God became a man. Col 2:9 For in him (Jesus) dwelleth all the fulness of the Godhead bodily. We're also introduced to 4 beasts full of eyes all over them. They have four faces; a lion, a cow/oxen, a man, and an eagle. These are the beasts that show John the visions of the first four Seals in chapter 6. These four beasts in Heaven are not the same type of “beast” of the Antichrist and his one world government. The original Greek word used here is different than the word used to describe the one world government beast(s) where they are a "nation" and the ruler of that nation, but here it is a "living thing". Ezekiel chapters 1 and 10, and Is 6:2, shows us that the "beast" in this passage is a Cherubim (a class of Angel). Verse 11 says that all things were created for God's pleasure, which means we are as well. God loves us and plans to spend eternity with us, for His good pleasure. Revelation 7:14-17 and Revelation 21:1-7 show us that God will dwell among us and there will be no pain or sorrow ever again. Life with God will be more amazing than we can even imagine. Matt 13:44 Again, the kingdom of heaven is like unto treasure hid in a field; the which when a man hath found, he hideth, and for joy thereof goeth and selleth all that he hath, and buyeth that field. 45 Again, the kingdom of heaven is like unto a merchant man, seeking goodly pearls: 46 Who, when he had found one pearl of great price, went and sold all that he had, and bought it. Matt 7:11 If ye then, being evil, know how to give good gifts unto your children, how much more shall your Father which is in heaven give good things to them that ask him? 1 Cor 2:9 But as it is written, Eye hath not seen, nor ear heard, neither have entered into the heart of man, the things which God hath prepared for them that love him. The vision continues with a symbolic representation of God sitting on the throne with a book in His hand. John weeps because there is no one worthy to open the seals on the book! But, Jesus is worthy to open the book because He redeemed us by His blood and there is no other worthy to open it. He's the only man who is without sin. Verse 5:8 talks about vials filled with the prayers of the saints which is the same as Revelation 8:3-5, where it shows an angel with a censer and incense. The odours in this passage have the same meaning/implication as the incense in chapter 8. These two are similar in that the vision is shown to us at the start the Seals (Rev 5) and the start of the Trumpets (Rev 8). In each case John starts the vision of the Seals and Trumpets, but then describes another vision both containing incense or odours with the prayers of the saints before he continues on with the Seals and the Trumpets. The first four seals are accompanied by the voice of one of each of the four beasts depicted in Revelation chapter 4. In Rev 6 Jesus opens the first 6 Seals. Rev 7 has a couple separate visions. The angels holding the 4 winds, and the sealing of the 144,000. And then a picture of the Saints with God that came out of the Great Tribulation. Revelation 8:1 - The last Seal is probably opened as the very last thing that happens, immediately before the 1000 year reign of Christ. This is shown in a timeline at the bottom of this page. The seals are discussed in detail in chapter 5. Note that the sixth Seal is when the great day of God's wrath is come. Same as the seventh Trumpet and seventh Vial. They are all describing the same event, at the same relative point in time, at the end of the Tribulation. This symbolic picture most likely is the representation of how Jesus is the Power of God, so He is worthy to open the book and break the seals. Matt 26:64 Jesus saith unto him, Thou hast said: nevertheless I say unto you, Hereafter shall ye see the Son of man sitting on the right hand of power, and coming in the clouds of heaven. The "right hand" indicates the power of a man in the culture of that day. Rom 1:16 For I am not ashamed of the gospel of Christ: for it is the power of God unto salvation to every one that believeth; to the Jew first, and also to the Greek. The gospel of Christ is the power of God unto salvation. The statement that Jesus is on the right hand of God means that He's the power of God unto us and all things in heaven and earth. It does not mean that He's physically sitting next to God. The Spirit which is God dwells in Jesus bodily (Col 2:9). It's interesting to note that Jesus, when He was here on the earth, was not a good looking man or a man one would respect or give a second thought by looking at Him. Isaiah 53 says, “Isa 53:2 ...he hath no form nor comeliness; and when we shall see him, there is no beauty that we should desire him. 3 He is despised and rejected of men; a man of sorrows, and acquainted with grief: and we hid as it were our faces from him; he was despised, and we esteemed him not.” God didn't want people to look up to Him because He was beautiful or had physical might. As stated above, the events documented between the sixth and seventh seals do not represent a specific period of time that actually takes place after the sixth seal and before the seventh. Instead, it is more likely that these are events that have already happened during the opening of the seals and other events that happen after all has been concluded. The great multitude is described as “they which came out of great tribulation, and have washed their robes, and made them white in the blood of the Lamb”. Then we see the depiction I mentioned earlier where this is the same description as Revelation 21, describing the beginning of eternity with God, after all things have been finished. The 144 thousand sealed by God are also mentioned in the fifth trumpet (Revelation 9:4), where we see that they are definitely sealed before the final events (sixth seal, seventh trump, seventh vial) and shown to be with God, standing on Mount Sion, after the tribulation in Revelation 14 where we see they are the “first fruits unto God”. This picture we're seeing is definitely not in a chronological time line, but it's showing us things that happened prior to the sixth seal (the 144 thousand), but also things that do happen after the sixth seal (the great multitude), and we already know that the sixth seal is the same time frame as the seventh trumpet and seventh vial. We have another record of the sealing of the 144 thousand in Ezekiel 9:4. In Revelation 14 they are not defiled, have no guile in their mouth; and in Ezekiel they sigh and cry for the abominations being done in Jerusalem. Read Revelation 6:12-17, Zechariah 14, Joel, Matthew 24, Mark 13 and Luke 17, 21. All of these prophetic passages are referring to the same period of time. Matthew 24 explicitly tells us that it's immediately after the tribulation that the sun is darkened, etc. Since we know that these events all coincide with the same events of the Seventh Trumpet and Sixth Seal, etc., we can know absolutely for sure that this record of the Seals is not chronological within the book of Revelation and that these events are not something that happens prior to any of the other events recorded in Revelation. In Rev 8:2 we see that 7 trumpets are given to 7 angels. Then, in verses 3 through 5, there is the description of another angel with a censer who stands at the altar, offers the incense he is given (same as Rev 5:8), fills the censer with fire from the altar and then casts it to earth, and there are voices, thunderings, lightnings, and an earthquake. This depiction does not give us much information and it's impossible to know how much time elapses during this vision. It could be a short time, or it could be a very long time. However, the events at the conclusion are similar to the events of the Seventh Trumpet and the Seventh Vial. This leads to a logical conclusion that it is more likely spanning a long period of time and ends at the return of Christ at the end of the tribulation, as shown in Chart A in the first section of this chapter. Then we move again to the 7 angels mentioned in verse 8:2, as they “prepare to sound”. Rev chapters 8 and 9 describe the first six trumpets. The first four trumpets have a similar theme. A third part of trees and all grass are burnt up. A third part of the sea becomes blood and a third part of the creatures in the sea die and a third part of the ships are destroyed. A third part of the rivers and fountains of water become wormwood and many men die. A third part of the sun, moon and stars are darkened. 8:13 then warns that the next three trumpets will be very woeful to the inhabiters of the earth. Then we have the fifth trumpet where it's a very different detailed depiction of the locusts with the power to hurt men and torment them for 5 months. The sixth trumpet sounds and a third part of men are killed, with the 4 angels released and the army of 200 million. The Seven Trumpets are discussed in detail in chapter 6. In the fifth trumpet, the bottomless pit is opened and the sun and air are darkened because of the smoke from the pit, the locusts are told not to hurt those with the seal of God in their foreheads, and the angel who opens the pit is called the “destroying angel”, which is the meaning of the names “Abaddon” and “Apollyon”. The angel is mentioned again in Revelation 20:1-3. Notice that the angel is given the key to the bottomless pit in Revelation 9:1, opens the pit in 9:2, is named as the “king” over the locusts in 9:11, then comes down from heaven again to bind Satan in the bottomless pit for 1000 years in Revelation 20:1-3. In Revelation 11:7 we see that the beast comes out of the bottomless pit, becomes or possesses a man to become the Antichrist shown in Revelation 17:8-11, kills the two witnesses at the end of the final 3.5 years (Rev 11:7), and then in Revelation 20:1-3 we see that the “angel” who was given the key locks up the devil in the bottomless pit for 1000 years. Joel 2 also speaks of things described in the fifth trumpet! If you read the 2nd chapter of Joel verses 1-11, you'll find very similar events described. In these days, men will seek death... Revelation 10:7 says that “in the days of the voice of the seventh angel, when he shall begin to sound”. Revelation 9:6 says that “in those days shall men seek death”. In Joel, Revelation 6, 9, 11, 16, Matthew 24, Luke 21, and Ezekiel 38 we see that the people of earth will seek death, will be angry, have great fear, will mourn, shake at the presence of God and will blaspheme God. The timing of the events given us in prophecy overlap in many places and sometimes span a long period of time. Revelation 9:20-21 shows us that people will still not repent even after all these things have come to pass. This is also the same declaration we see during the Vials in Revelation 16:9 and 16:11. The mighty angel has a little book and roars, and the seven Thunders sound but John is told not to write what they said. I would give anything to know what the seven Thunders said!!! Then the angel swears by God that there will be time (delay) no longer, but that the mystery of God will be finished in the days that the seventh trumpet begins to sound. The mystery of God will be finished because Jesus Christ will be revealed to the whole world at the Seventh Trumpet. There will no longer be any mystery. John is given a book, and told to eat it, which is sweet as honey but makes his stomach upset. Ezekiel 2:9 through 3:4 has a very similar description of a book eaten, which has lamentations, mourning and woe written on it, which is sweet as honey, and then the prophet is sent to prophesy. The Mystery of God is discussed in detail in chapter 12. 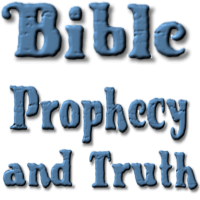 Chapter 11 – The measuring of the Temple, the two Witnesses, and the Seventh Trumpet. John is given a rod to measure the temple and the altar. He's told to leave out the outer court because gentiles will tread there and in Jerusalem (the holy city) for forty two months (3.5 years). This passage, along with Daniel 9 and 11, and Joel talking about the sacrifice being taken away by the Antichrist, and 2 Thess 2:4 and Matt 24:15 showing that the Antichrist will stand in the holy place, and sit in the temple of God showing himself to be god (the abomination of desolation); support the theology that the temple will be rebuilt in Jerusalem before the final 3.5 years. This is the same time period as shown in Daniel 11 and 12, and Rev 12 and 13. All of these are separate visions of different things happening during this same period of time. The Seventh Trumpet sounds and God's wrath is poured out on the earth. Rev 11:15 The kingdoms of this world are become the kingdoms of our Lord, and of his Christ; and he shall reign for ever and ever. This is the return of Jesus when He comes with power and glory in the clouds of heaven! The 7th trumpet (Revelation 11), 7th vial (Revelation 16), Revelation 7:15-17, Revelation 21:3-6, and Ezekiel 38-39 all show us the same events. First of all, the statement, "It is done", appears in Revelation 21:6, Ezekiel 39:8, Revelation 16:17, and the same statements about it being "done" and/or how the Kingdom of God is come and what it will be like when all is finished are made in the 7th trumpet, Revelation 7, and Revelation 21. Revelation 15 also shows us those who have gotten the victory of the beast (came out of great tribulation) just as Revelation 7; this is the same group of people who are with God when it's all over. Note that the seventh Trumpet brings God's wrath. Same as the sixth Seal and seventh Vial. They are all describing the same event, at the same relative point in time, at the end of the Tribulation. Zec 4 has the same two olive trees (anointed ones) shown to us. When they have finished their testimony, the beast from bottomless pit, which is opened in the fifth trumpet, kills them; so we can know for sure that the 5th trump has sounded before this event. Daniel 11 and 12 show the Antichrist's reign and specifically states that there will be 1290 days (3.53 years) from the time of the Abomination of Desolation until the “end of these things”. And another specifically stating that there will be “a time (one year), times (two years) and an half (half a year)” (3.5 years) till all things shall be finished. There will be a time of trouble (Dan 12:1) such as never was (the great tribulation), the people that know God will be strong (Dan 11:32), some of those shall fall (Dan 11:35), but the wise shall understand while the wicked will not (Dan 12:10). Blessed is he who waits until 1335 days (Dan 12:12). When we look at all the scriptures describing this period of time, we see that the 3.5 years will be the time of the wrath of Satan, and the last 45 or 75 days will be the wrath of God (the 7 Vials), sometime between the 1260th day and the 1335th day. In Revelation 13:5 we see that power is given to the Antichrist for 42 months (3.5 years). In Revelation 12 we see that the devil will be cast to earth, having great wrath because he knows his time is short, and that it will be for 1260 days in v.6, and a time, times and half a time in v.14, or 3.5 years. This “time of trouble” that will last 3.5 years, is the time of the wrath of Satan. The Vials, which are the wrath of God, will be poured out in the last 75 days, between the 1260th and 1335th days, possibly just in the last 45 days. The 3.5 years of great tribulation will be for the saints of God, not the world as a whole (Luke 17:26-30, 1 Thess 5:1-4, Rev 7:9-14). Matthew 24:15-21 shows us that when we see this abomination of desolation that then there shall be great tribulation, and then (Matt 24:29) immediately after the tribulation we will see the sixth seal and the seventh trumpet and we will be gathered to the Lord at that time. This also most likely begins the pouring of the vials. The saints will NOT be here for the vials (the wrath of God)(1 Thess 1:10 and Rom 5:9). The wrath of God will be to “destroy them which destroy the earth” (Rev 11:18). The Wrath of God is described in Revelation 15 and 16 as the 7 Vials. The time of the two witnesses is the same time period as the Tribulation which is the 3.5 years of the reign of the Antichrist and the same 3.5 years of the time of the wrath of Satan. This leads me to think that the two witnesses are God's way of offsetting the False Prophet and the Antichrist (Satan's minions), with two men wielding the power of God! The seven trumpets are discussed in detail in chapter 6 of this book. This passage is a 2000 year prophecy. The woman in this passage is the nation of Israel. The child born is Jesus Christ. The dragon (Satan, as we see in Rev 12:9) tried to kill Jesus at the time of His birth but did not succeed. 2000 years later (probably will happen very soon) there is a war in Heaven and the devil and his angels are cast down to earth. Twice we are given a time frame of 3.5 years here where Israel is "in her place", in the promised land, and is kept safe from the wrath of Satan. The last 3.5 years where the devil is thrown down to earth having great wrath is the Great Tribulation. The war in heaven looks to take place at the point of the abomination of desolation, where the Antichrist takes power. In Daniel 12:1 Michael stands and at that time there shall be the “time of trouble” mentioned earlier. In Rev 12 we see that Michael and his angels fight the dragon (Satan), and the devil loses and is cast out of heaven; cast to the earth having great wrath. Both of these depictions are the same event covering a 3.5 year period while the devil is on the earth and the saints experience the great tribulation and time of trouble. The 2000 year gap appears to be between verses 5 and 6. The first 1260 days is likely the first half of Daniel's 70th week, the final 7 years after the Confirmation of the Covenant (signing of the peace treaty). The first half of that week probably brings the rebuilding of the Temple and resumption of animal sacrifices by the Jews. This is the same 2000 year gap that we see in Daniel 9:24-27 where the first 69 weeks (these are weeks of years totalling 483 years) are fulfilled up to the time of Jesus, and there's a 2000 year gap between the 69th week and the last week (the final 7 years). In the midst of the week the Antichrist will cause the sacrifice to cease and will break the treaty and set himself up as god (the Abomination of Desolation). This is when the second half of the final 7 years begins, which is the Great Tribulation and the time of the rule of the Antichrist and False Prophet, and the time of the wrath of Satan. The combined end time one world government that is ruled by the Antichrist (depicted in Revelation 13:2) does not have the eagles wings we saw in Daniel. This might mean that the US is not part of that system. The Antichrist will be fighting wars during his reign and it's possible that the US is one of those battlefronts. It's also possible that the US will not come out of the 6th Trumpet war unscathed. The US could be destroyed or hurt so badly that it isn't a major player in the world after that. The description of the eagles wings in Revelation is very similar to the wording used in Exodus when Israel was brought out of Egypt. Exodus 19:4 Ye have seen what I did unto the Egyptians, and how I bare you on eagles' wings, and brought you unto myself. We cannot know for sure that the "wings of a great eagle" in Revelation is definitely referring to the US. If you live in the US and you're still riding the fence and/or haven't decided if you really believe all this or haven't fully committed to God, I would give it some very serious thought. What is coming next, is discussed in detail on the (Chapter 8) What is Next page of this website. Also see, What's Happening Right Now on the What is Going on Right Now page of this website. Revelation 13 describes the Antichrist and the False Prophet. The four beasts (nations) of Daniel 7 (lion, bear, leopard, and the 10 horned beast) become one beast (a single government and it's leader), ruled by the Antichrist, and the dragon (Satan) gives the Antichrist his power for 42 months (3.5 years). This chapter is where we see the "Mark of the Beast" and the number 666 as the "number of the beast". The first beast is the Antichrist. He will unite the world under a one world government and one world religion. To see how to identify this man when he comes on the scene, see my eNewsLetter Who is the Antichrist?. Both of the "beasts" in this chapter are men. The word beast is a symbolic representation of the man who will do the things spoken of in this chapter. The second beast in this chapter is the false prophet. (Rev 20:10, Rev 19:20) He will cause the world to worship the Antichrist (the first beast) as God. He will perform miracles in the sight of men such as pulling fire from the sky. He will also cause an image of the Antichrist to be made, make it able to speak, and cause any who won't worship to be killed. This is probably an electronic image like television or on computers, but may not be. You won't be able to get a job, have a bank account, fly in a plane, buy a house or car, have a drivers license or a passport, buy food, etc., unless you have the mark. This will most certainly be an RFID chip under the skin or an RFID tattoo that contains your "number" and allows them to track everything and everyone, in the name of "peace". This will be the time of the Great Tribulation that Jesus spoke of in Matthew 24, during the reign of the Antichrist. The “Mystery Babylon”, the “great whore” discussed in Revelation 17 and 18 is the same entity that the false prophet of Revelation 13 comes from and is the force that causes the world to worship the Antichrist as God. As I state in chapter 7 of this book, this entity appears to be the Vatican (the Roman Catholic Church) and the false prophet is most likely the Pope. The Seventh Vial in Revelation 16 shows us that this entity will be destroyed by the great earthquake that rocks the world from Israel outward and destroys Rome. The Antichrist and the False Prophet are discussed in detail in chapter 7 of this book. This will be the time of the Great Tribulation, where the saints of God will be persecuted, hunted and killed for the name of Jesus. In Daniel 9:27 we see that “he”, the Antichrist, will confirm the covenant with many for one week (a week of years, or 7 years). In the midst of the week he will cause the sacrifice to cease and will place the abomination that makes it (the temple) desolate, as known as the Abomination of Desolation. He will be with many at the beginning of that week, confirming the Abrahamic covenant; which means setting borders of Israel and settling the status of Jerusalem as it's capital. In Daniel 8:13-14 we see that it will be 2300 days for the “vision concerning the daily sacrifice, and the transgression of desolation, to give both the sanctuary and the host to be trodden under foot” to happen. This part of the vision is Daniel 8:9-12. 2300 days = 6.3 years. The interpretation of this part of the vision is Daniel 8:23-26. What this means is that the Antichrist will “wax great”, or “a king of fierce countenance, and understanding dark sentences, shall stand up.” The Antichrist will see his moment and will begin gathering power to himself. The “vision concerning the daily sacrifice, and the transgression of desolation” is the time period of the Antichrist's rise to power and his rule of the world. If we carefully study Rev 13, 16 and 17, along with Daniel 8, and 11, we can learn a lot about where the power of the Antichrist comes from. It comes from the devil himself. Very likely he is possessed by the devil. Rev 13:2 – The beast (the antichrist and his one world government) gets his power and his seat from Satan. 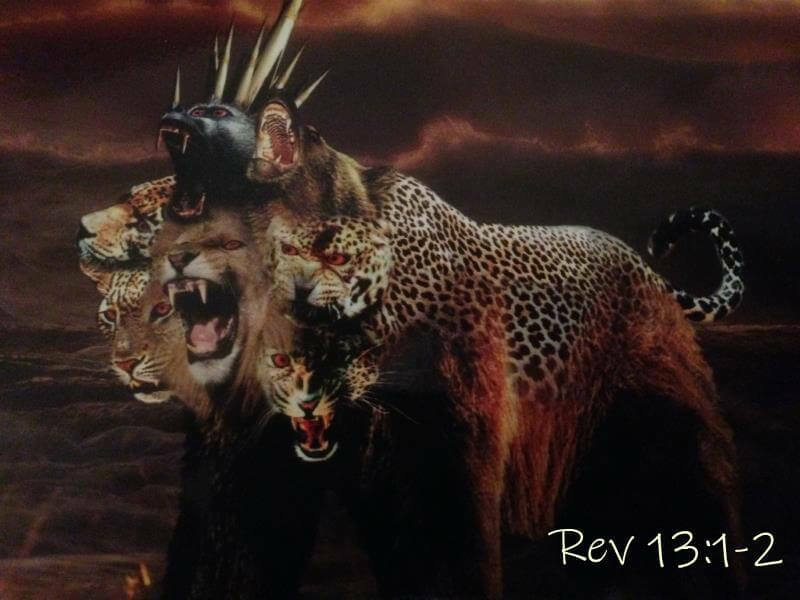 Rev 16:13-14 – Three spirits of devils go out from the dragon, the beast, and the false prophet, working miracles to gather the kings of the earth to battle against Jesus. We have three spirits, from the devil, the antichrist and the false prophet. If the antichrist is possessed by Satan, it makes sense because there are still two entities within a single body, making 3 spirits. Rev 17:8-17 – The beast (the Antichrist / the Devil) that ascends out of the bottomless pit, opened in the 5th trumpet, who kills the two witnesses, is the antichrist. He “was, and is not”, “is the eighth, and is of the seven”. This strange wording leads me to think that there is another involved, like the devil possessing him, very possibly. Daniel 11:37-39 – The Antichrist honors a “strange god”, but at the same time does not regard any god because he magnifies himself above all, and will actually claim to be God. Possessed by the devil? Daniel 8:24 – The Antichrist's power shall be mighty, but not by his own power. The Antichrist will almost certainly be a Muslim. He will be the Mahdi of Islam and will team up with the Pope to create a universal Islamic world religion. 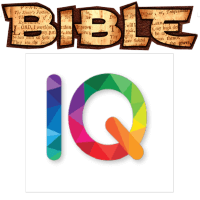 See Islam in the Bible. The 144 thousand mentioned in Revelation 7 and again in the Fifth Trumpet (Rev 9:4) are depicted here with Jesus as the “first fruits” unto God. In a farmers terms, the first fruits are the fruits of a crop which become ripe early in the season and are gathered prior to the “mother load” harvest. Despite the many theories that these men are a symbolic representation of the saints, the scriptures prove otherwise. These are men who are virgins, have no guile (deception) in their mouths, and love the Lord Jesus. They are almost certainly actual Jews; 12,000 from each of the 12 Tribes of Israel. Three angels give a last warning to the inhabitants of the earth. The hour of judgment is come. Babylon makes all nations drink of the wrath of her fornication. Those who take the mark and worship the beast shall drink of the wine of the wrath of God. This isn't a physical hour of time, it's a figurative statement that a period of time has come. It's the time just before the wrath of God. The Lord reaps His harvest. The “Son of man” in Revelation 14:14 is the same as the Revelation 1:13 “Son of man”. This is Jesus Christ. Jesus is the one sitting on the cloud, and reaps the earth of His elect. Then there is another angel who thrusts in another sickle and casts the vine of the earth into the winepress of the wrath of God. The saints of God will be spared the wrath of God (1 Thess 1:10, Romans 5:9) and gathered to Him just before the wrath of God is poured out. The Great Tribulation will be tribulation only to the saints of God and will be during the time of the wrath of Satan shown in Revelation 12, but this passage helps us to understand that God's people will not have to endure the wrath of God, but only those who do take the mark of the beast and worship the Antichrist. Joel 3:13 also talks about the reaping. Shown in Chart B above (under the section "Chapters 5 through 7 – The Seals"), we see that it's the same event, which takes place immediately after the tribulation. In Revelation 19 we see the battle of Armageddon, with the saints in heaven with Jesus, and the winepress of the wrath of God being tread by the Lord at that time. This passage is showing us events of the same time period. The wrath of God is poured out on the earth. Again, like both the Seals and the Trumpets, we see the beginning of the Vials and then John tells of another vision. This time it is not the odours or vials with the prayers of the saints, but now it is a sea of glass mingled with fire and all the saints that had gotten the victory over the Antichrist and they are singing a song praising God, stating: “all nations shall come and worship before thee; for thy judgments are made manifest.” This song is about to come true, just after the Vials are poured out, the Lord returns and sets up His kingdom on earth. It's very important to note that in Revelation 15:8 it states that no man will be able to enter the Temple until the seven plagues are finished. I believe that this means that no man can be saved while the wrath of God is being poured out. I would hate to see anyone caught in this time who has not repented. But, as it states in Revelation 16:9 and 11, people will not repent and will blaspheme God during this time. As stated in Revelation 15:1 and 16:1, the Vials are the wrath of God. We saw in Revelation 12 that the last 3.5 years are the wrath of Satan while he is confined to the earth. The wrath of Satan is the Great Tribulation where he persecutes God's people. The wrath of God is vengeance on those who hate God. The saints will be caught up in the air to meet the Lord in the air at the sound of the Seventh Trumpet (1 Thess 4:16-17, 1 Cor 15:52), when it shall begin to sound (Rev 10:7). The saints will not have to endure the wrath of God (1 Thess 1:10, Romans 5:9). Jesus will catch us up to meet Him in the air, and then shall rain down His wrath upon the earth, and then He will finish His descent to destroy those who destroy the earth (Rev 11:18) as we will see in Revelation 19. The Vials are the wrath of God (Revelation 16:1). A very nasty sore falls on those who have taken the mark of the beast and worship him. The sea becomes blood and all creatures in the sea die. The rivers and fountains of water become blood. Men are scorched with great heat. This vial is poured upon the sun so it appears that the “global warming” men say is happening will appear to really accelerate at this time, and men will blaspheme God because of it. The seat of the beast (probably the place where the Antichrist calls home, or possibly the whole world since it says “his kingdom”) will be full of darkness and pain. The Euphrates river is dried up to make way for the kings of the east to gather at Armageddon. It's interesting to note that there are many dams on this river and some very large ones that could be used to stop the flow of the river to “dry it up” when the Antichrist leads the world against Israel. Russia and/or Turkey, and Iran appear to be the major forces in this attack and will descend on Israel from the north and east. Three spirits of devils, working miracles, will go to gather the kings of the earth to do battle. The 7th Vial is the end. Ezekiel 39:8, Revelation 7:15-17 and Revelation 21:3-6 all speak of this same time when it is “done”. The 7th Trumpet sounds at this time as well and we see the earthquake that shakes the whole world all the way to Rome (Mystery Babylon) as Jesus Himself touches down on the mount of Olives (Zech 14). The kingdom of God is established at this time and the 1000 year reign begins (Rev 20:1-7). Note that Vials are God's wrath and that the seventh Vial brings the same events as the sixth Seal and seventh Trumpet. They are all describing the same event, at the same relative point in time, at the end of the Tribulation. One thing to note is that the first Vial (Revelation 16:2) states that the mark of the Beast has already been implemented. This is a great point on the timing since we can know from this scripture that none of the Vials are poured out until after the mark of the Beast in the later part of the final seven years. We also see that some of the Seals and some of the Trumpets have almost certainly already come to pass. This is another point that helps us to understand that the book of Revelation is not chronological from start to finish. Zech 14:1-4 shows us that the Lord will stand on the Mount of Olives and it will cleave in half, which is the earthquake of Revelation 16:18. The whole world will feel this earthquake. Zech 14 is another depiction of the battle of Armageddon. He will have all His saints with Him and will fight the nations. As discussed earlier, this period of time between the gathering of the saints and the touching down on the Mount of Olives is probably the 75 to 45 days we see between the 1260th or 1290th days, to the 1335th day. God's two witnesses prophesy 1260 days (Rev 11:3), power is given to the Antichrist for 42 months (Rev 13:5), the devil is cast to the earth having great wrath for 3.5 years and the woman (Israel) is protected for 1260 days (Rev 12), Daniel 11 and 12 show the Antichrist's reign and specifically states that there will be 1290 days (Dan 12:11) from the time of the Abomination of Desolation until the “end of these things”. And another specifically stating that there will be “a time (one year), times (two years) and an half (half a year)” (3.5 years) till all things shall be finished. Blessed is he who waits until 1335 days (Dan 12:12). When we look at all the scriptures describing this period of time, we see that the 3.5 years will be the time of the wrath of Satan, and the last 45 or 75 days will be the wrath of God (the 7 Vials), sometime between the 1260th day and the 1335th day. The saints of God will be with the Lord, and will have the “marriage supper of the Lamb” (Rev 19). When the Lord comes down and stands on the Mount of Olives and destroys those coming against Israel, He will set up His kingdom at that time. This is the 7th Vial where they are gathered at Armageddon to battle against Israel. The same is recorded in Joel, Zech 14 and Ezekiel 38, as shown in the charts above (both A and B). Gods wrath will be unleashed on the earth in several ways. The sun, moon and stars will be darkened. There will be great hailstones that weigh as much as a couple hundred pounds! A very great earthquake, bigger than the earth has ever seen and will split the Mount of Olives and go all the way to Europe and destroy Mystery Babylon (I believe this is Rome). Mountains and islands moved out of their places (from the huge earthquake). Voices, thunders and lightnings. Heavens shaken. The plagues of the vials; sores on men, water turned to blood, creatures die, great heat, darkness. Men will be angry, blaspheming God, trembling in fear and hiding from Gods wrath. Who is the Great Whore? This is discussed in Chapter 7 of this book. Revelation 17 and 18 are devoted to explaining the Great Whore and are not in a sequential time line within Revelation. Many people teach that chapter 18 is not talking about the same entity as chapter 17, but if we compare the two we see that it indeed is the same. There are quite a few references that say the same thing in both chapters. Rev 17:8-14 gives us more information on the Antichrist and how he gets his power from 10 kings (Same as Dan 7 (10 horns), Rev 13 (10 horns), and Dan 2 (10 toes)) to take over the world militarily when he gains his power in the middle years of the final seven. This is the same beast that ascends out of the bottomless pit when it is opened in the 5th Trumpet, and as shown in Revelation 11:3 where he kills the two witnesses. When the Antichrist gains his power and takes over the world, it may be in the aftermath of the devastation of the 6th Trumpet war where the world will be clamoring for peace and safety after 2 billion people die in that war. But, we see in Revelation 17:17 that it is God who puts it in their hearts to fulfill His will. I find this very interesting because there are a lot of people who teach that God no longer takes part in the events of the world like He did in the old testament, but we see that He is still very much in control. Jesus finishes His descent to earth after the marriage supper of the Lamb and the pouring of the Vials, destroys the armies of the nations at Armageddon, and throws the Antichrist and the False Prophet into the lake of fire. Rev 19:11-21 is the actual battle of Armageddon. This isn't much of a "battle" since it's simply a word spoken by Jesus that destroys the enemy. Jesus is the KING OF KINGS, AND LORD OF LORDS! Verse 15 shows us that Jesus will rule with a rod of iron in the Millenial Reign of Christ that immediately follows this. The period of Grace is over... If you have not given your life to Jesus yet, and repented of your sins, do it now while you still can. The "bride" in verses 7-9 also appearing in verse 14 show us that the saints are the bride and that we follow Him to the battle. The symbology in Chapter 21 verses 2 and 9 appear to mean that the New Jerusalem will be the dwelling place of the saints were it might be (speculation on my part) a kind of home where we will dwell with God for eternity. The Antichrist and False Prophet are both cast alive into the Lake of Fire. In Ez 39:17-20 and Rev 19:17-21 we see declarations that the fowl of the air and beasts of the earth come to eat flesh of kings and mighty men. This is a good point to show that the two events are the same event. The coming of the Lord will be a very big and calamitous event. Wrath of God, great shaking or earthquake, etc. 2:34-35 – The last world dominating power is the iron mingled with clay and will be in power when Jesus returns. 7:8-12 – The four kings will be on the earth when Jesus returns. 8:25 – The Antichrist will cause craft to prosper, by peace will destroy many of Gods people, will stand up to Christ when He returns, but shall be broken without hand. 11:21 through 12:1 – The antichrist will establish himself but shall come to his end, and at that time there will be a time of trouble such as never was, and at that time the people of God will be delivered. Jesus will come with power and glory as the lightning comes from the east to the west. The whole world will see him. The angels will be sent with the sound of the trumpet and gather His elect. The coming of the Lord and our gathering to Him will not come until the Antichrist is revealed by the Abomination of Desolation. The Lord will consume him with a word. His coming will be bright. Will catch up the elect to meet Him in the clouds. Jesus treads the wine press of the wrath of God as depicted also in Rev 14:20. The Antichrist and the False Prophet are cast into the lake of fire. Lord will come as a thief in the night, but only to those in darkness. They (those who are in darkness) will say, “Peace and safety”, and then sudden destruction will come upon them. Mount of Olives will cleave in half. Lord will come with all saints. All nations gathered against Jerusalem (Battle of Armageddon). The Lord shall fight against the nations (Battle of Armageddon). The Lord shall roar out of Zion. Harvest is ripe, day of Lord at hand. All nations gathered in valley of Jehoshaphat to war (Battle of Armageddon). Verses 38:15-16; The Lord will bring the nations against Israel as a cloud to cover the land (Battle of Armageddon). This is the day of the Lord. When the Lord returns it will be as the lighting flashes across the sky. It will be with a shout, with the sound of the trumpet, with power and glory. Every eye shall see Him. It will be a surprise to the world as the Antichrist is ruling a one world government and proclaiming peace and safety, then the Lord will come. When He comes, the saints will be gathered to Him in the air, in the clouds. Then we will see the wrath of God poured out on the world. Then He will descend on the nations gathered against Israel and will wipe them out and destroy the Antichrist. When He touches down on the Mount of Olives, there will be an earthquake bigger than the world has ever seen. He will set up His kingdom and put down the leading nations and destroy Islam, the fourth beast of Daniel 7, the last ruling one world government that the Antichrist is using to rule the world (the iron mingled with clay of Daniel 2). An Angel from Heaven lays hold of Satan and binds him for 1000 years. This is the same angel of the fifth Trumpet that has the key to the bottomless pit. It says the "rest of the dead" lived not again until after the 1000 years, and that those that were beheaded for Christ were part of the first resurrection. This is specifically speaking of those who "had not worshipped the beast, neither his image, neither had received his mark upon their foreheads, or in their hands". The people who died during the tribulation were raised at the first resurrection. This is one of the places that gives us explicit information on the timing of the Rapture. It's definitely after the reign of the Antichrist. Those who did not worship the beast or take his mark and/or died for Jesus will live and reign with Jesus on the earth for the 1000 years, but the rest of the dead did not live again until the 1000 years were finished. Another mention of Gog and Magog but definitely a different battle. And again it's not much of a "battle" since once again God just destroys them out of hand, with fire from Heaven. The devil is cast into the lake of fire forever. The dead are resurrected and judged according to their works. This is the second resurrection and the second death (permanent death of the soul, I believe). One of the things most people get mixed up about the Battle of Gog and Magog in Ezekiel 38-39, is that they don't recongnize the similarities of the events of the 6th Seal, 7th Trumpet, 7th Vial and the battle of Armageddon in Revelation 19. Ezek 39:17 And, thou son of man, thus saith the Lord GOD; Speak unto every feathered fowl, and to every beast of the field, Assemble yourselves, and come; gather yourselves on every side to my sacrifice that I do sacrifice for you, even a great sacrifice upon the mountains of Israel, that ye may eat flesh, and drink blood. 18 Ye shall eat the flesh of the mighty, and drink the blood of the princes of the earth, of rams, of lambs, and of goats, of bullocks, all of them fatlings of Bashan. 19 And ye shall eat fat till ye be full, and drink blood till ye be drunken, of my sacrifice which I have sacrificed for you. 20 Thus ye shall be filled at my table with horses and chariots, with mighty men, and with all men of war, saith the Lord GOD. Rev 19:17 And I saw an angel standing in the sun; and he cried with a loud voice, saying to all the fowls that fly in the midst of heaven, Come and gather yourselves together unto the supper of the great God; 18 That ye may eat the flesh of kings, and the flesh of captains, and the flesh of mighty men, and the flesh of horses, and of them that sit on them, and the flesh of all men, both free and bond, both small and great. It is definitely the same event, and the reference to Gog and Magog here in Revelation 20 shows us that "Gog and Magog" are the nations in the four quarters of the earth. Gog and Magog represents the nations of the world. See my eNewsLetter on this, The Gog and Magog War. God creates a new heaven and new earth and there will be no more sorrow or pain of any kind! We will drink freely of the water of life and will dwell with God forever! God's grand plan is over and the next part of His glorious plan is about to begin! Eternity with God! He will dwell among us forever!!! Revelation 4:11 says that all things were created for God's pleasure, which means we are as well. God loves us and plans to spend eternity with us, for His good pleasure. Revelation 7:14-17 and Revelation 21:1-7 show us that God will dwell among us and there will be no pain or sorrow ever again. Life with God will be more amazing than we can even imagine. The birth of the Roman Catholic church was approximately 325 AD. The Seals are the long story (the spirits have been around a long time), the Trumpets are the median story (approximately the last 100 years), and the Vials are the very last and very short story (all seven of the Vials are poured out at the end of the Tribulation), all ending at the battle of Armageddon and the return of Jesus Christ. The seventh Seal ends the worldly governments and begins the Kingdom of God and the 1000 year reign. The first four Seals – Revelation 6:1-8 - The Seals are discussed in chapter 5 of this book. The first four Trumpets – Revelation 8:7-12 - The Trumpets are discussed in chapter 6. The fifth trumpet comes before the Abomination of Desolation, because as we see in Rev 17 it is the same beast that ascends out of the bottomless pit who gains the power of the 10 kings to take over the world (Revelation 17), and the same beast that ascends out of the bottomless pit who kills the two witnesses at the end of the tribulation (Revelation 11), so it looks like it will happen some time before the Abomination of Desolation while the Antichrist is gaining his power, and it's possible that it could happen before the Confirmation of the Covenant. The sixth trumpet could also happen before the Confirmation of the Covenant but there's not as much evidence for this. It will almost certainly happen before the Abomination of Desolation, however. It looks like the 144 thousand are likely sealed before the Abomination of Desolation as well. They are the “first fruits” and are redeemed before the reaping of the saints (Revelation 14), and they are spoken of at the fifth trumpet where the locusts are not allowed to hurt those that have the seal of God in their forehead (Revelation 9). The Antichrist and the False Prophet team up, reviving the Holy Roman / Islamic Ottoman Empire and creating the one world government of Revelation 13. The False Prophet does miracles like pulling fire from the sky in the sight of men. The False Prophet causes the world to worship the Antichrist. The final 3.5 years begins. The Antichrist breaks the seven year peace agreement, becomes the Abomination of Desolation by claiming to be god, and will stop the sacrifice from being performed at the temple - Daniel 9:27, Daniel 11:31 and 2 Thess 2:4. The devil is cast to the earth having great wrath - Revelation 12. Daniel 12 “time of trouble” and Matthew 24 “tribulation” begins. Israel protected 3.5 years (Revelation 12). Israel will be overrun but will not be destroyed. The Two Witnesses begin their prophecy that will last 1260 days - Revelation 11. The Antichrist reigns for 3.5 years – Revelation 13:5. Causes craft to prosper - Daniel 8:25. Implements the mark of the beast - Rev 13:16-17. By peace shall destroy many – comes in the name of peace to gain his power – they shall say, “peace and safety” - Daniel 8:25, 1 Thess 5:3. Jesus returns in the clouds and reaps his own – the rapture – Revelation 1:7, 1 Thess 4:16-17, Matthew 24:30, Mark 13, Luke 17:24, 2 Thess 2:1-8, Revelation 14. The Battle of Armageddon and the wrath of God – The seven Vials – Revelation 15, 16 and 19. Jesus touches down on the mount of Olives and treads the winepress of the wrath of God. The earthquake splits the mount of Olives and destroys Rome – Revelation 14, 19, Revelation 6:12-17, Zechariah 14, Joel, Matthew 24, Mark 13 and Luke 17, 21. The seventh Trumpet / seventh Vial / sixth Seal - Rev 11:14-19, Rev 6:12-17, Rev 16:17-21. The Antichrist and the False Prophet are thrown in the Lake of Fire – Rev 19. The devil is bound for 1000 years – Rev 20. It is done - Rev 21:6, Rev 16:17, Ez 39:8. The kingdom of God and the 1000 year reign begin – Rev 20. After 1000 years Satan is loosed and again deceives the people of the earth and comes against God only to be wiped out with fire from heaven – Rev 20. Judgment day – Rev 20. New heavens and new earth – Rev 21. The chosen saints will dwell with Jesus forever – Rev 21.